Roller blinds and shades are one of the most sellable window treatments in the market today. It is often chosen by the consumer because it offers timeless beauty, simple operation and very affordable price. It is also an ideal choice in any part of your home and in any establishments. 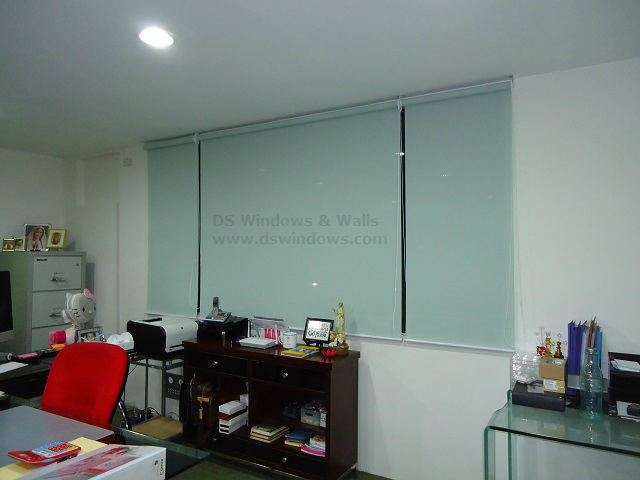 There are different materials and fabric of roller blinds and shades and one of those is the light filtering material. A light filtering roller blinds and shades can add attraction in your place because you can still view outside especially during daytime. It also works well in areas that are not fully exposed with sunlight and to those areas that hundred percent privacy is not an issue. It also helps lessen the heat temperature in a room especially during afternoon. 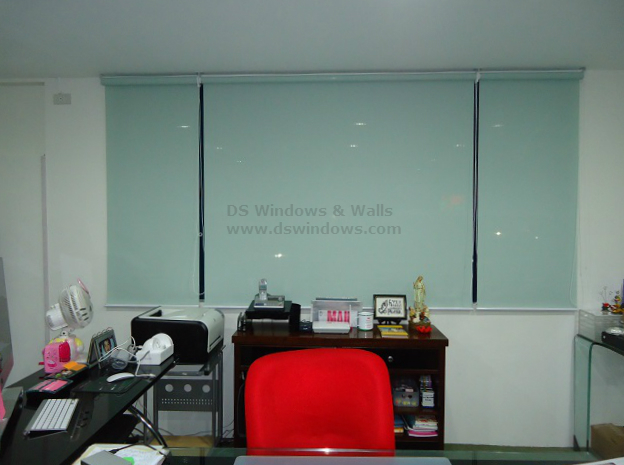 Roller blinds and shades are commonly used in both residential and commercial areas. One of our clients from Quezon Avenue, Quezon City, Philippines opted for roller blinds with light filtering material and green color for refreshing look. They chose green color for roller blinds and shades because it can relax and refresh one’s eyes especially when you are staring at your computer screen for too long when working. 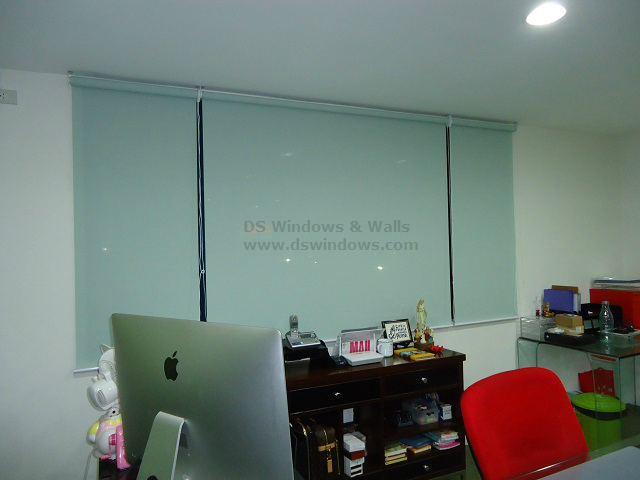 DS Windows & Walls also offers blackout type of roller blinds. You can browse more colors, fabric and designs of roller blinds and shades at www.angryblinds.com.ph. We also offer PVC folding door, wallpaper and carpet. If you want to choose personally our samples and swatches, you can visit our stores at 4th level Waltermart, Makati City, 3rd level Robinson Metro East, Pasig City, 2nd level Pacific Mall, Lucena City. 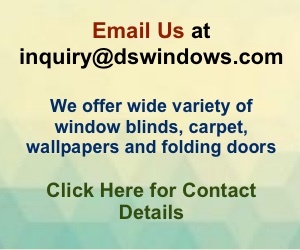 For further inquiries, you may email us at inquiry@dswindows.com or call us at (02) 403-3262, (02) 668-9668, (02) 893-1373, and 0916-311-3909.